iWood advocates the use of oak in landscape architecture. Oak's properties lend itself well to the many uses and demands of landscaping projects. The following gives an overview of why you should consider oak in your landscaping projects. 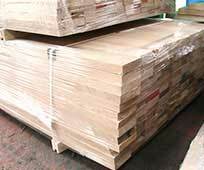 Durability of Oak - Durability is a measure of the expected service life of timber. 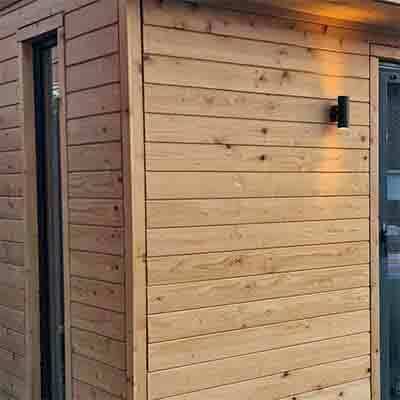 The more durable a timber, the longer it will stand up to the weather including rain and sunlight and the less susceptible it is to fungal infection that can weaken the timber. 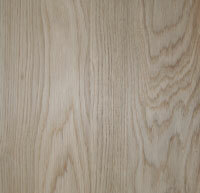 Oak is classed as a hardwood as it comes from a broad-leafed, deciduous tree. Hardwoods are more durable than softwood, and on a timber durability scale of 1 to 5 with 5 being ‘very durable', Oak is classed as '4 - Durable' by TRADA (Timber Research and Development Association). TRADA's ‘Durable' rating gives oak an estimated, untreated, outdoor service life of between 15 and 25 years. Hardwoods like oak have a slower growth rate than softwoods and therefore tend to be denser. 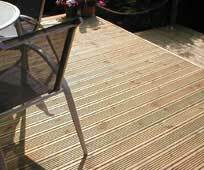 This makes oak more resistant to wear, which makes it a good choice for decking. Hardwoods such as oak also have a lower tendency to splinter, making it a good choice for handrails and other features that come into contact with people and animals. Oak's Appearance - Oak's attractive appearance makes it ideal for external applications where it will be seen in broad daylight. Left untreated, oak weathers to a traditional silver colour in a couple of years, depending on the amount of sunlight it receives. 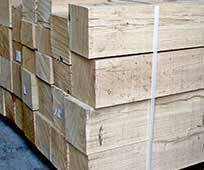 Oak's Strength - Oak has high strength properties compared with many timbers. This makes it ideal for weight bearing applications such as decking, bridges and furniture as well as structural use and for holding back earth. Availability and Sizes - Oak is readily available from European and British-grown sources and because the oak is a large tree, substantial sized solid pieces can be acquired for large beams and sleepers. Sustainability - iWood's Oak products are FSC© Certified, allowing us to demonstrate a full chain of custody from the felling of the tree to you. In order battle illegal deforestation and protect our natural resources for the future it is important to buy timber from responsibly managed sources. 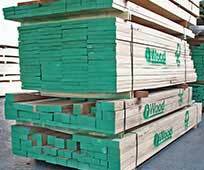 For full details of iWood's commitment to sustainability please see our FSC© and PEFC© pages.